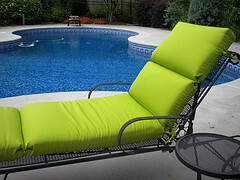 Outdoor chaise lounge cushions provide comfort and color to your pool chaise lounge. Not only is the design and color of the fabric important, so is its durability. Accurate measurements are necessary when replacing your chaise lounge chair cushions. The depth, width and length of your existing cushions will provide you with the important dimensions. If you are going to buy your new one from a store, take your old one with you to be sure you are getting the right size. Ordering on line is convenient, but check to see what the return policy is if you don't like the cushions or if they don't fit your chaise lounge furniture. You can buy ready made or custom made chaise lounge pads. Custom outdoor cushions allows you to select from a wide range of solid colors, stripes or designs. This option gives you lots of flexibility to match your existing outdoor cushions that don't need replacing. 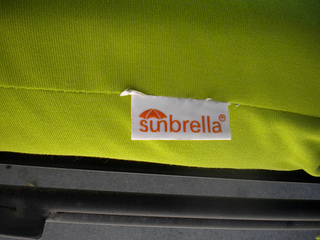 The price range for lounge chair custom Sunbrella outdoor cushions is $125 - $150. These features mean that the cushions will keep their vibrant colors for years with very little care or maintenance. Darker colors will hide any stains or built up dirt better than lighter colors. Check your cleaning instructions before cleaning, but many outdoor cushions can be hosed off or cleaned with Woolite or Ivory Snow. 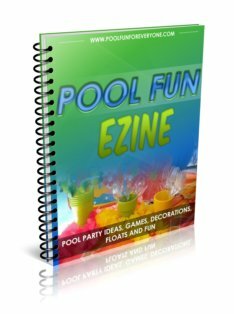 Be sure to let the cushions air dry after cleaning them or hosing them off. 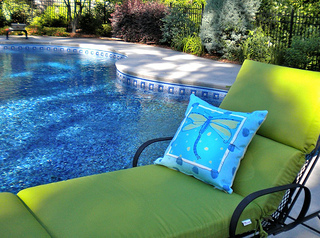 Some outdoor cushion fabrics require periodic water repellent treatment, especially after cleaning them with mild soap. There are several choices of outdoor cushion fabric. Those who like to change their cushion colors and style frequently can spend less on their replacement cushions. 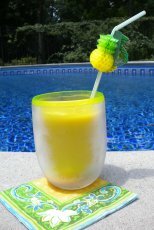 However if you are looking for a durable, fade resistant long lasting outdoor cushion fabric, Sunbrella outdoor fabric is the most durable. Outdoor cushions made of this fabric cost more than other outdoor cushions, but in our experience it has been worth it. The colors don't fade and the fabric is stain and mildew repellant. Just what one needs for outdoor furniture. We keep our cushion out all summer in the rain and sun and store it in the garage in the winter. After four years our chaise lounge cushion still looks like new. 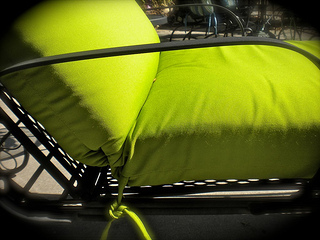 My husband and I both wanted lots of color when we replaced our outdoor furniture cushion so we picked this lime green lounge cushion. There are different edges in outdoor cushions, including outdoor chaise lounge cushions. Some of the common edges are a knife edge or a boxed edge. I prefer the boxed edge and a thicker cushion like this one. It is a full 3" and one can really feel the difference. Give me a good book, some shade, a cold drink and this comfortable chaise lounge and I'm happy to count it as my "mini" vacation.